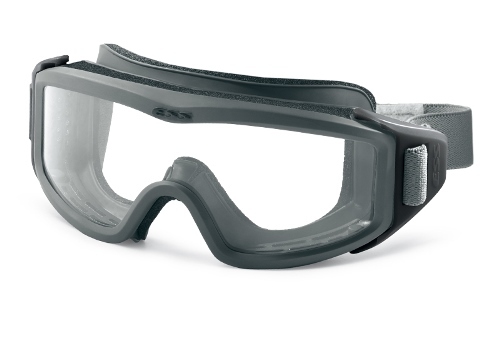 The Ess Flight Pro is a low-profile goggle approved for use on U.S. Navy flight decks. 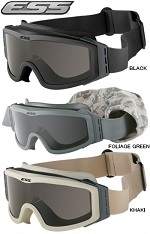 Based on the ESS Profile NVG goggle, it has all the advantages of a low-profile, night-vision-compatible frame. Ideal for cranial helmets, the Flight Pro features ESS' patented Speed-Clip system, first introduced to the U.S. Military on the ESS Flight Deck goggle in 2001. This system provides quick adjustment of the high-memory elastic stap, even when wearing gloves. Advanced ClearZone FlowCoat lenses provide an optinal combination of anti-scratch coatings on the outside of the lens and anti-fog coatings on the inside. A full-perimeter, Low-Flor ventilation and filtration system ventilates humid air while filtering airborne particles, air blasts and splashes. The anti-microbial OpFoam face padding is designed to be comfortable, tear-resistant and easy-to-clean. 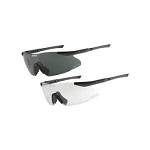 All profile series lenses provide 100% UVA/UVB protection and distortion-free optical clarity.